Viticulture and wine producing in the lands of present-day Bulgaria are an age-old tradition. Excavations from ancient settlements show grape seeds and berries dating back to 6,000 BC! In Thracian times our geographical region was famous as a place where vines were planted and wine produced. The widespread cult of Dionysus found an expression in the depiction of vines, grapes, wine-cellars and ceremonies. Homer mentioned the area's wines in both the Iliad and the Odyssey. During the Roman times viticulture spread to the entire Balkan Peninsula. After Slavs and Bulgarians settled and founded the Bulgarian state in 681, they inherited the millennial experience accumulated in the sphere of viticulture and wine-making. The amazing thing is that the same area may claim property to the first vine protection decree in 2nd century AD as well as to the first prohibitionist laws implemented in history by the Bulgarian Khan Krum during his reign in 8th century AD. During the Middle Ages a large part of the land was the property of the monasteries, devoted chiefly to vine-growing. The wine aged in cool monastery cellars was famous throughout the country. Many foreign travelers who visited Bulgaria between the 11th and 19th centuries highly praised the country's wines. 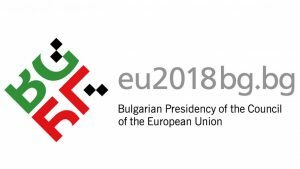 Nowadays Bulgaria is one of the world largest wine producers together with France, Italy, Spain and Greece. The Bulgarian red and white wines such as Mavrud, Melnik, Gumza, Dimiat, Pamid, Muskat, and Misket are well known to connoisseurs. In general, South Bulgaria is known for its red wines, North Bulgaria - for its white wines. High quality wines are produced from a number of different grapes, red as well as white. The reds are made from the local Gamza as well as from the noble Cabernet Sauvignon and Merlot varieties. Chardonnay, Riesling, and Sauvignon Blanc are the most prominent whites. This region is home to the fine wineries of Suhindol, Rousse and Shoumen. The whites from this region are well known in Europe, the USA and Japan. The wines from the Eastern Bulgaria region are made mostly from white grapes. Almost all renowned white grape varieties may be found along with the native Misket and Dimiat. 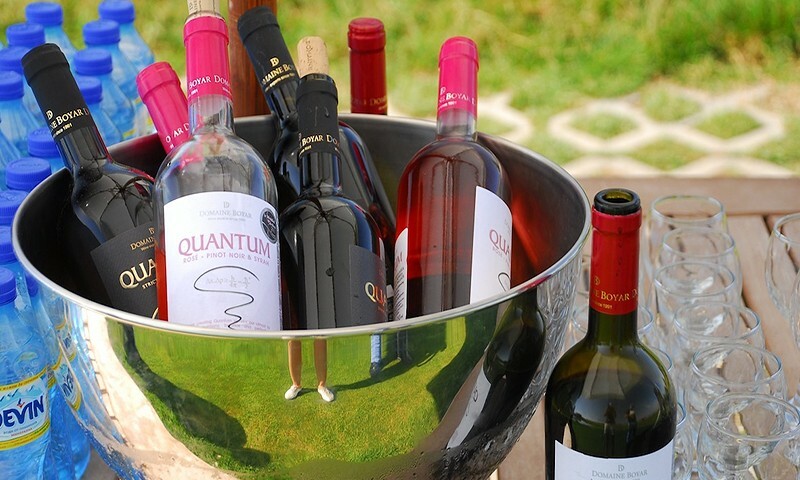 Varna and Pomorie are the leading wineries of this region. They are greatly appreciated by Europeans, Americans and Japanese. These deep valleys have unique micro-climates. The famous in Bulgaria Sungurlare Misket comes from here as well as the excellent Sungurlare Eau de Vie. White wines from different grapes are local specialty. Slavjantzi is a popular winery from this region. This region boasts almost Mediterranean climatic conditions - particularly good for Cabernet Sauvignon and Merlot production. The best Bulgarian variety grape - Mavrud grows in the Thracian Valley and nowhere else in the world. It is only in Bulgaria, that the wine of the ancient Thracians is still produced and drunk - the full-bodied red Mavrud. Reds coming from this region are superb. Assenovgrad is the winery to note. The wines are well known in UK, Japan, the Scandinavian countries, Holland, Poland, Russia, etc. The Struma Valley runs along it and brings strong Mediterranean influence in terms of climate. Fine Cabernets are produced here. The specific local sort "Wide Melnik Vine" can grow only here and if carried to another place, it withers and fades away. Melnik wine conquered yet in 13 century the dining tables of the aristocracy from Venice, Genoa, Marseille, Barcelona, Paris, Liverpool. This is an aromatic and hefty wine that ages very well and has its connoisseurs in many European countries but most of all in the Scandinavian countries, Switzerland and England. Damianitza is the winery to note. Another interesting local variety is Keratzuda, a rose type produced only in the appellation of Kresna. At our Bulgarian Wine tours you will have the opportunity to visit some of the most renowned boutique wine-cellars in Bulgaria and to taste our most famous and internationally recognized wines. If you are not a veteran wine-traveler but love wine, you'll find a wine-country expedition a rewarding adventure. If you're among those who are curious about wine, but not committed, a wine trip might be all it takes to start you on the path to serious appreciation. For visitors that are serious about wine, our tours offer wine-tasting of a variety of wines from different regions. 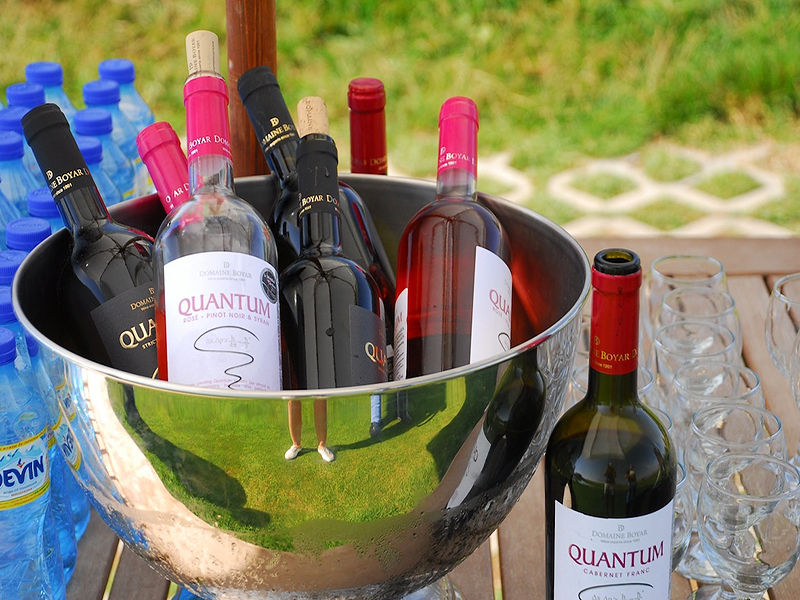 We would recommend you to extend your wine tour and visit some of the most renowned wineries in Romania or Macedonia. We would be glad to assist you in customizing the itinerary according to your preferences. The ideas listed below are just a few samples of the different types of Bulgarian Wine tours we can arrange. We can create a tour based on your specific interests enriched by inspiring visits and amazing travel experience. Our guided wine-tasting tour includes visits to the most famous boutique wine-cellars in Southern, Northern and Eastern wine-producing regions. You will be able to taste superb Bulgarian wines, typical for the regions of Plovdiv, Veliko Turnovo, Rousse and Varna. Specially selected traditional and fancy restaurants, delicious national food and wine will nicely surprise you along the wine tour. You will be amazed by exciting landmarks - famous historical places, cultural monuments and beautiful scenery. Our guided wine-tasting tour includes visits to the most famous boutique wine-cellars in South-Western, Southern and Sub-Balkan wine-producing regions. You will be able to taste superb Bulgarian wines, typical for the regions of Melnik, Plovdiv and Hissar. 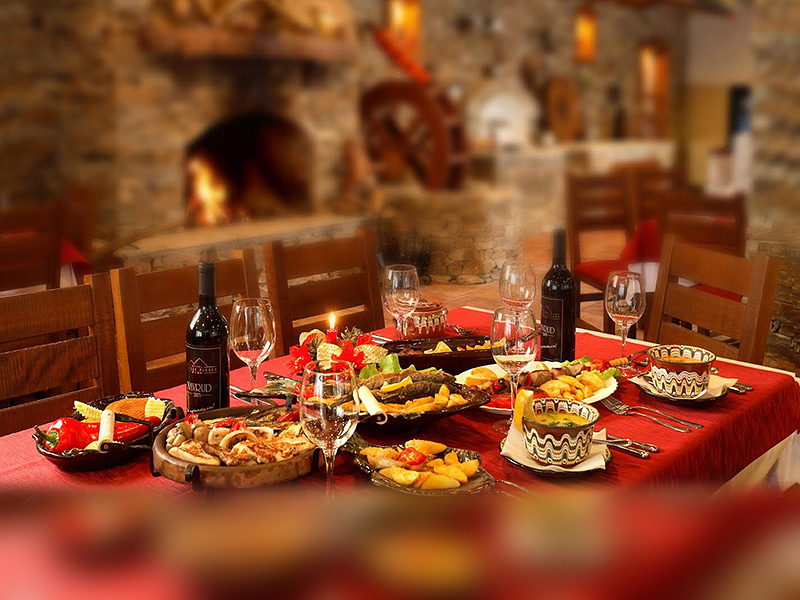 Specially selected traditional and fancy restaurants, delicious national food and wine will nicely surprise you along the wine tour. You will be amazed by exciting landmarks - famous historical places, cultural monuments and beautiful scenery. Our guaranteed departure tours Bulgarian Wine are private guided tours upon request, organized for min 2 persons. The best period is April – October but mostly March and November are also very good for touring in Bulgaria. Our customized Bulgarian Wine tours variety could be unlimited. Put your ideas in the hands of our travel consultants and they will make your customized tour exclusive and memorable. We will design your tour by focusing on your preferred wine-producing regions in Bulgaria, your interests in the particular wines and wine-tastings of your choice. 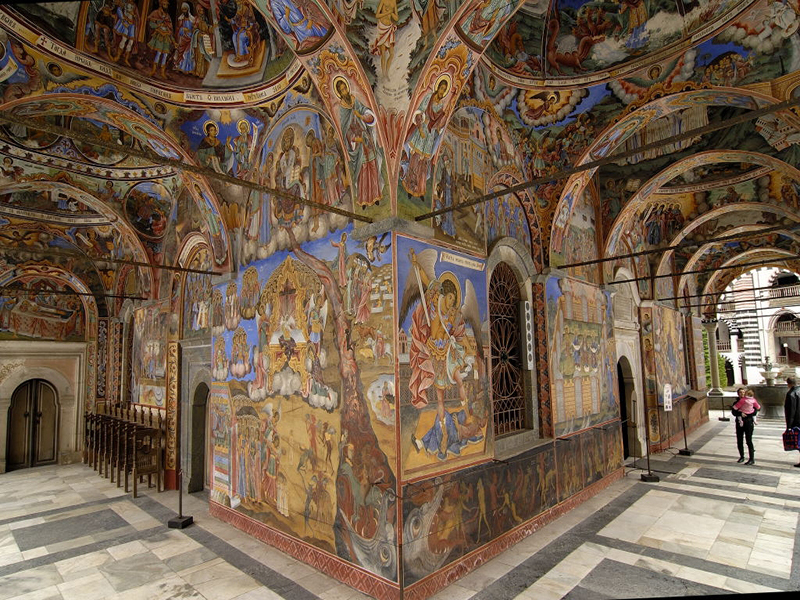 We will add visits of cultural and historical sites, nature, music, traditions and culinary temptations. We would be glad to assist you and be at your disposal by the end of your tour taking care for all details. Feel free to contact us and find out what we can do for you.